The Yemeni Houthi group (Ansar Allah) affirmed in an initial toll on Sunday that 11 schoolgirls were killed and 39 others citizens, mostly schoolgirls, injured, in Saudi-led coalition air strikes on school and homes in the capital of Sanaa. 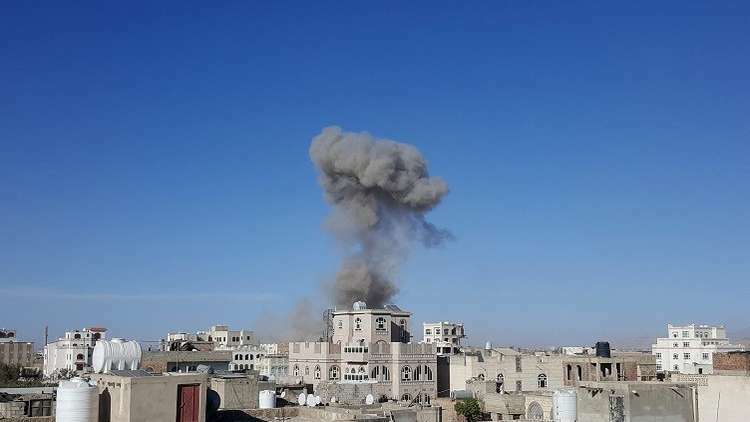 According to officials in Health Ministry of Houthis government, Houthi-run al-Masirah TV reported that the coailition' the coalition fighter jets air striked Sa'awan residential area north east of Sana'a. The Arab Coalition Forces did not comment on the incident until the time of writing this report. Yemen has been racked by an armed conflict that entered its fifth year on Tuesday and had already triggered the world's worst humanitarian crisis, according to the UN, with most of the population in need for a type of humanitarian aid and immediate protection, including some 2 million children suffering severe shortage of nutrition in absence of adequate health care. Coalition fighters jets occasionally launch raids on Sana'a, saying they are targeting Houthi weapons and drone stores sites.